Employee training sessions designed to clearly communicate company strategy and processes are vital. How can you be sure though that your messages are being correctly communicated to your employees based all over the world? How do you know that the training being delivered across different geographical locations is consistent with your native program? Capita TI can help you with a comprehensive 6 stage process for localizing your e-learning solutions to ensure that they are appropriate and effective for each geographical area of your business. 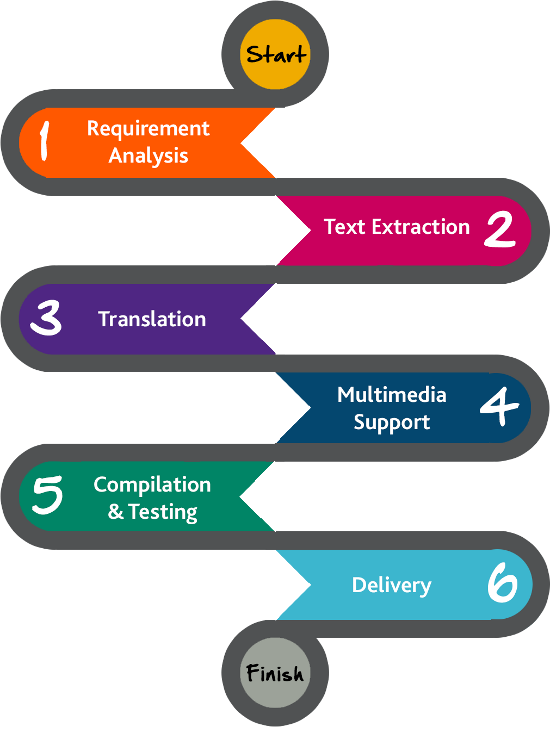 Our suite of software localization and multimedia translation services allows you to localize any learning material, for any device, into any language. By carefully selecting native linguists, expert editors and skilled file engineers, we make sure that nothing is lost in translation. G2G3, a Capita company, offers customized learning solutions for all kinds of organizations. Whether you prefer face-to-face learning, e-learning or learning within a virtual or game-based environment, G2G3 will design and deliver a learning solution that best fits your need, culture, values, learning style and way of working. G2G3 design and deliver game-based solutions to increase productivity and reduce costs, and their unconventional solutions deliver tangible benefits. Their personalized transformation programs ensure you successfully meet your goals and time targets.